MetLife Foundation today announced the recipients of its 2012 Awards for Medical Research in Alzheimer’s Disease: Clifford R. Jack Jr., M.D., professor of Radiology and The Alexander Family Professor of Alzheimer’s Disease Research at Mayo Clinic (Rochester, MN), and Christine Van Broeckhoven, Ph.D. D.Sc., professor and department director of the VIB Department of Molecular Genetics at the University of Antwerp (Belgium). In addition, Randall J. Bateman, M.D., associate professor of Neurology at the Washington University School of Medicine in St. Louis, is recipient of MetLife Foundation’s Promising Investigator Award. Dr. Jack, an innovator in clinical studies of brain structure in disease, developed and applied imaging methodologies to determine and track the stages of Alzheimer’s disease. Dr. Van Broeckhoven, a basic scientist and expert in molecular genetics, has made groundbreaking discoveries establishing the genetic basis of inherited Alzheimer’s disease and related disorders. Dr. Bateman, a neurologist and biochemist, has pioneered the use of measurements of beta-amyloid protein in the brain to better understand the biochemical basis of this illness. The winners were recognized at a scientific briefing and awards ceremony today in New York. Now in their 26th year, the awards provide outstanding researchers with an opportunity to freely pursue new ideas. At the heart of the program is a belief in research as the road to understanding and ultimately treating this devastating disease. Each major award recipient receives a $200,000 research grant for his or her institution to further their work, and a personal prize of $50,000. The recipient of the Promising Investigator Award receives a $100,000 grant to his institution to further his work in Alzheimer’s disease. 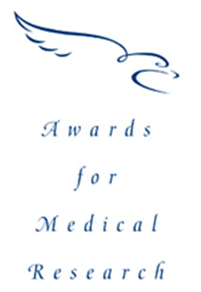 MetLife Foundation established the awards in 1986 to recognize and reward scientists demonstrating significant contributions to the understanding of Alzheimer’s disease. The MetLife Awards for Medical Research in Alzheimer’s Disease are managed by the American Federation for Aging Research (AFAR). Founded in 1981, AFAR has championed the cause and supported the funding of science in healthier aging and age-related medicine. “We have selected these individuals because of their novel and significant approaches to Alzheimer’s disease, which are paving the way for additional discoveries that are important for diagnosis and treatments for this disease,” said Donald L. Price, M.D., chair of the MetLife Awards for Research in Alzheimer’s Disease Advisory Committee, which selected the winners. Dr. Price, professor of Pathology, Neurology and Neuroscience, Johns Hopkins School of Medicine, is a previous recipient of the MetLife Award. According to recent estimates by the Alzheimer’s Association, the number of Americans aged 65 and older with Alzheimer’s disease will reach 16 million by 2050. Alzheimer’s costs related to health care and long-term care services are expected to total $200 billion this year. Drs. Jack, Van Broeckhoven and Bateman have made significant discoveries that have clarified our understanding, shaped new approaches to the disorder, and changed our view of Alzheimer’s disease. Dr. Jack is a pioneer in developing medical imaging methods that identify biomarkers for Alzheimer’s disease. Identification and validation of biomarkers – characteristics that measure a biological state, such as a stage of disease – is a major objective in understanding and developing treatments for this disease. Starting in the early 1990s, Dr. Jack introduced imaging methods to help delineate manifestations of the disease in the brain, assess its severity, measure disease progression, and make predictions regarding its future course. These concepts have been widely adopted. Dr. Jack’s initial studies focused on a type of brain imaging known as anatomic MRI, but he has also contributed pioneering work in other areas including MR spectroscopy, diffusion imaging, functional MRI, high field microimaging, and amyloid PET analyses of amyloid burden. He has integrated information from measures of biomarkers for the disease, derived from studies of central nervous system imaging and levels of markers in cerebrospinal fluid, into a comprehensive model of brain abnormalities in parallel with clinical features. The staging of presymptomatic (preclinical) Alzheimer’s disease in recently published National Institute on Aging-Alzheimer’s Association criteria was based largely on his model. Dr. Van Broeckhoven is a leader in the molecular genetics of Alzheimer’s disease and other complex neurological and psychiatric disorders. Her research has established critical features of the genetic basis of different types of dementia. Nearly 30 year ago, she identified the gene encoding APP (amyloid precursor protein), the first gene linked to familial Alzheimer’s disease. She and her colleagues demonstrated the involvement of the brain’s blood vessels in the neurodegenerative process. She helped identify the presenilin-1 gene on chromosome 14 as an additional gene involved in inherited cases of Alzheimer’s disease and contributed important information on the role of apolipoprotein E4, a protein that binds blood lipids, as a risk factor for both late-onset and early-onset Alzheimer’s disease. Dr. Van Broeckhoven’s most recent work has focused on the genetics of other neurodegenerative diseases. She and her colleagues identified the gene that encodes the protein progranulin, an observation that provided the first evidence that growth factors play a major role in neurodegeneration in certain types of dementia. Dr. Bateman has pioneered the use of Stable Isotope Labeling Kinetics (SILK) measurements of these disease markers in cerebrospinal fluid. Using this method, he has shown that people with Alzheimer’s do not properly eliminate amyloid-beta – the protein that builds into plaques in the brains of those with Alzheimer’s – from the brain as well as those without the disease. With a primary focus on the ways in which the disease changes the brain’s functional properties – in order to develop better diagnostic and treatment strategies – his lab has begun to study additional Alzheimer’s related proteins and their potential roles in the disease process. In addition to conducting clinical trials, Dr. Bateman is director of the Therapeutic Trials Unit of the Dominantly Inherited Alzheimer’s Network, the largest international study of autosomal dominant Alzheimer’s disease. He has led efforts to make effective experimental treatments available to people with this hereditary form of the illness, with the goal of preventing clinical dementia before cognitive impairments are evident. MetLife Foundation was established in 1976 by MetLife to carry on its long tradition of corporate contributions and community involvement. For over 25 years, MetLife and MetLife Foundation have invested more than $20 million for Alzheimer's research and public information programs, including over $13 million through the Awards for Medical Research in Alzheimer’s Disease program. The Foundation has also supported a number of major initiatives, including the PBS documentary The Forgetting: A Portrait of Alzheimer’s; short pocket films on Alzheimer's narrated by David Hyde-Pierce; an educational initiative with the National Institute on Aging’s Alzheimer’s Disease Centers; the film Alzheimer’s Disease: Facing the Facts; and initiatives that include caregiving videos, Alzheimer's toolkits and resources for the Hispanic community.